I read this blog post this morning and decided this was what we needed to do this year for advent! 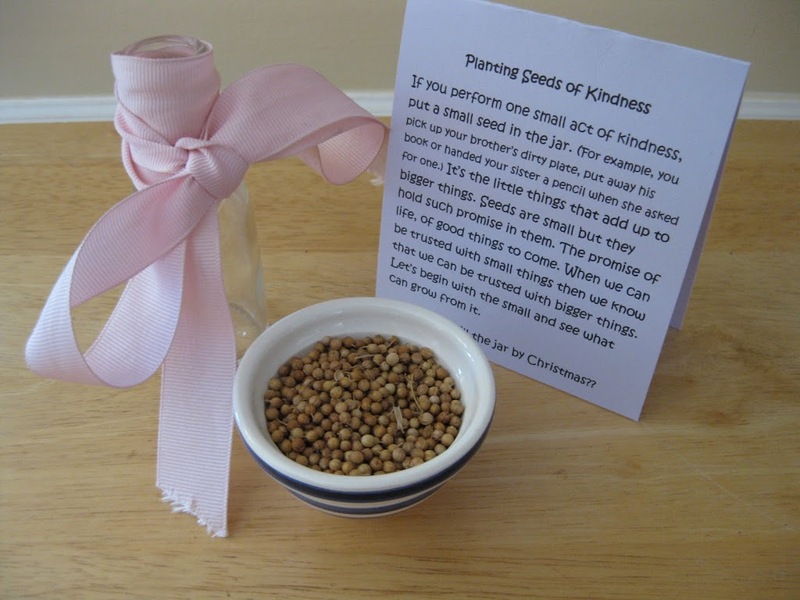 But rather than plant the seeds, we would gather them so we could have a visual reminder of the good we would collectively do. So I quickly set about to get what we needed ready. First I typed up a short description of this new activity. Then scoured around looking for something to use as seeds. I debated using popcorn or beans but I happened to have a sizable amount of coriander seeds I had collected from my cilantro plants. I found a diminutive bowl and filled it up. 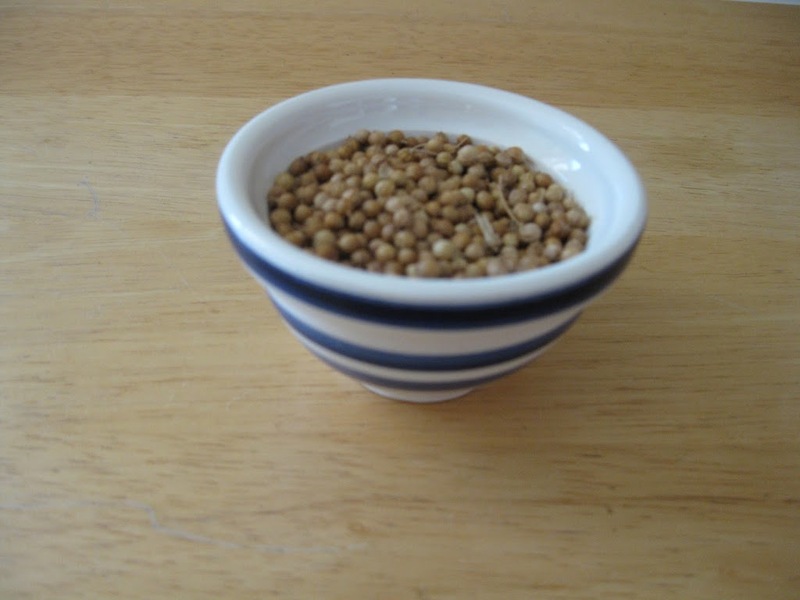 Next I found a tiny glass receptacle in which to put the round seeds. I put a pink bow on it (one of the colors of advent) because I didn’t have purple. And then I arranged it all together. We used to read the Jotham’s Journey books together as a family as an advent activity but my kids have outgrown the books (memorized the stories) so we needed something else to focus on. 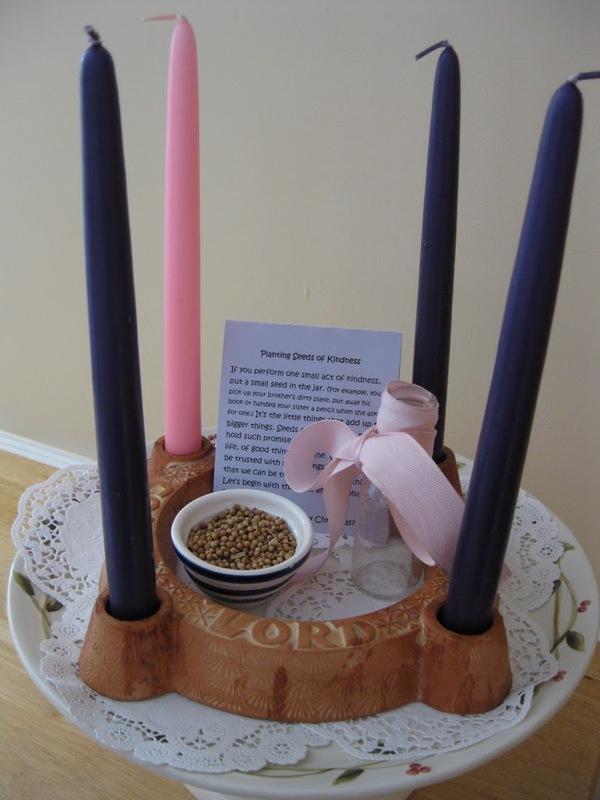 I decided to put this little activity together with our advent wreath. 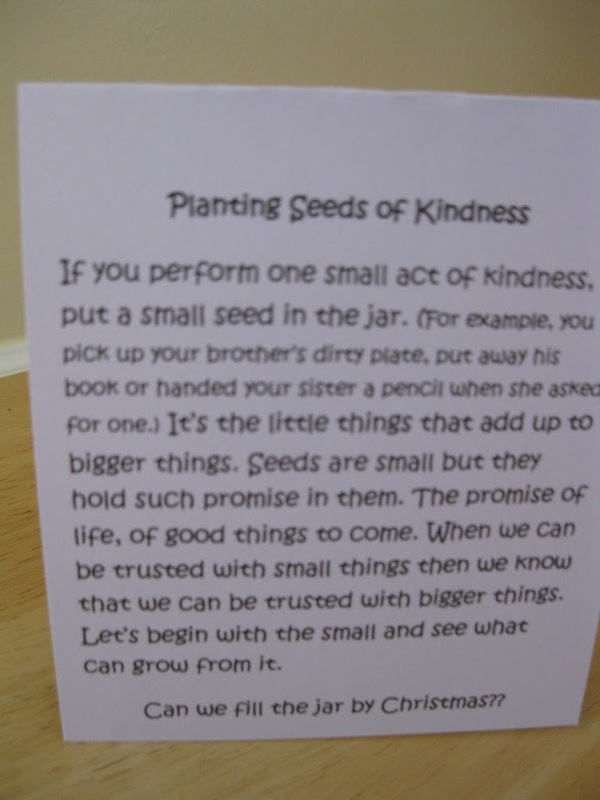 I look forward to all the seeds of kindness that will be planted in our hearts this advent season! What a beautiful idea, and lesson. Best of luck to all of you on filling the jar. I think I am steeling this idea.